Special thanks to Jayda O’Shea from 1885, who came in to talk to our Year 11 Catering & Hospitality students this week. 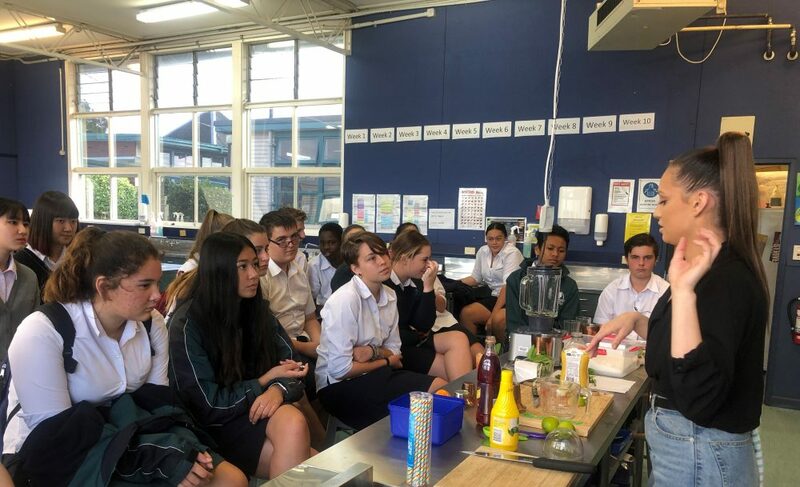 The students are currently working on their mocktail unit, so Jayda was able to demonstrate for them four different types of mocktail: stirred, shaken, blended and built. She also explained the different equipment and techniques used when creating non-alcoholic beverages. The students will be practicing these until early next term while they are preparing for and presenting their upcoming assessment.